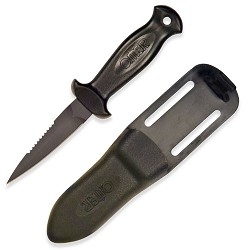 This knife is a popular economical knife for small to medium size prey. Serrated on one side to cut lines and cable. 420 stainless with black Teflon finish.